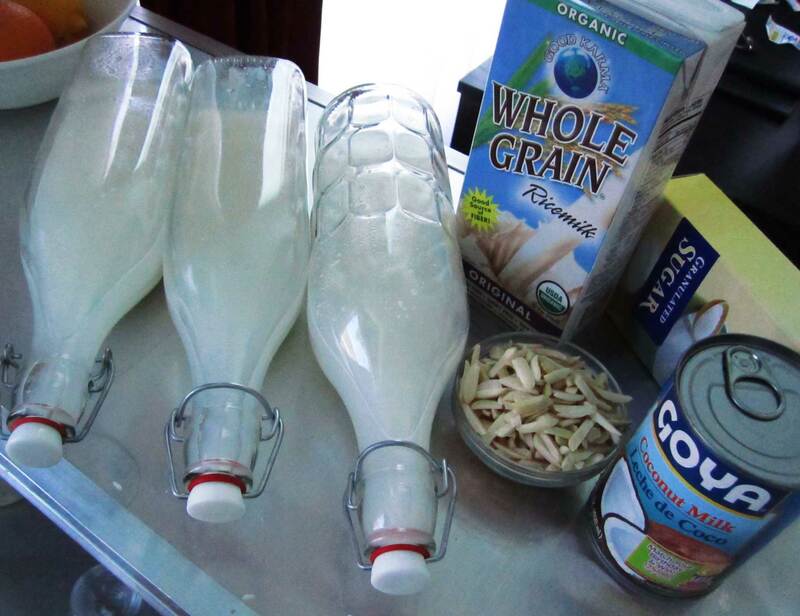 Horchata is a controversial beverage. A beloved agua fresca, traditional in Spain and Central & South America—Its sweet milky refreshment is ladled out of glass pitchers the size of a small child on the hottest days, its starchy backbone quells the burn of the spiciest foods. Is it just rice? Or nuts and rice? Milk or no milk? Or can you only call it a horchata when the beverage is wrung from the tigernut? I recently tested four recipes to explore the differences. 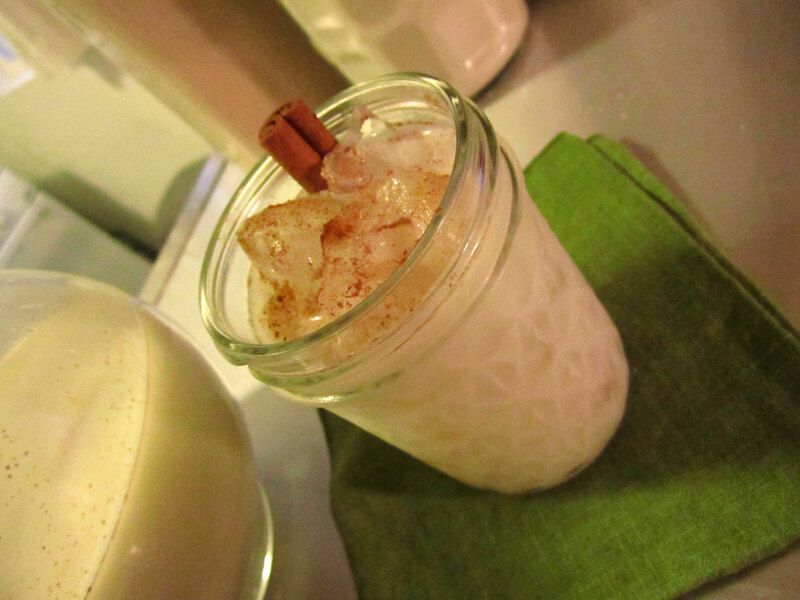 Batch One: The Ringer, or “Horchata in a Hurry” rice milk, whole milk, sugar, cinnamon, and a kiss of vanilla. 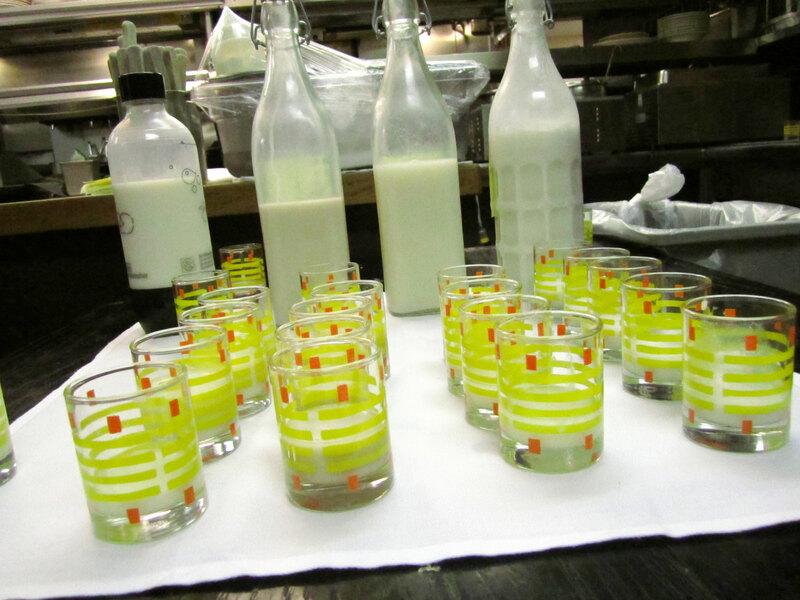 After a blind tasting with my executive chef, general manager, several staff from the front and back of house, and of course the Gent, I hit upon the Final Where The Sidework Ends Horchata. It is a combination of batches two and four, so it has a few components…. add it now. When the water has come to room temperature, cover and place in the refrigerator for at least 6 hours, or up to overnight. When the rice has finished steeping, blend it in batches until smooth. Strain the blended rice mixture through a fine mesh strainer lined with cheesecloth. Squeeze solids to release all the liquid. 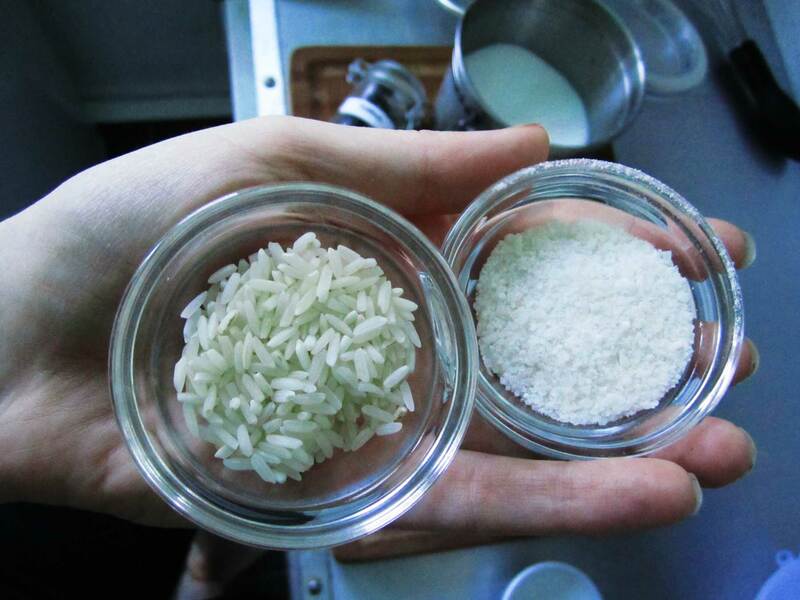 Re-blend the rice solids once more, and strain again to get as much rice-y goodness as possible. Add milk, coconut milk, sugar, and vanilla. Stir until sugar dissolves. Taste for sweetness, and add more sugar to taste if necessary. Server over ice, garnish with stick of cinnamon and a dusting of ground cinnamon. A note on cinnamon—the second you open a container of cinnamon, whether it is whole stick or ground, it should overwhelm your palate with the aroma of cinnamon. If it doesn’t have a powerful aroma, it won’t have any flavor. It’ll taste like it smells. Spend the extra two bucks and get a cinnamon with serious impact.